Walrus, WALRUS 006/7, The Netherlands, 1998. 1. MAGICA LMYSTERY TOUR ('") - Film version, different sound effects and backing vocals, on 3 May 3 1967. 2. THE FOOL ON THE HILL ('") - Take 4 on September 25, 1967. 3. FLYING ('") - Alternate mix, different mellotron loops throughout the song and a "jazzy" mellotron loop at the end, on September 8, 1967. 4. BLUE JAY WAY ('") - Early mix. This version is missing the string overdubs and some of the backing vocals, on September 7, 1967. 5. YOUR MOTHER SHOULD KNOW ('") - Take 1 on August 22, 1967. 6. I AM THE WALRUS ('") - Take 17 on September 5, 1967. 7. HELLO GOODBYE ('") - Take 16 on October 2 and 19, 1967. 8. 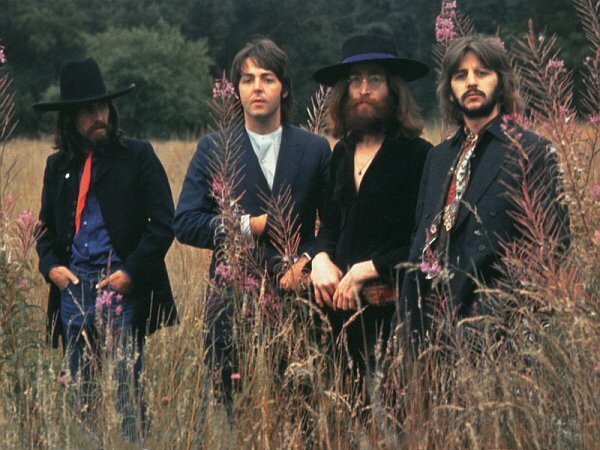 STRAWBERRY FIELDS FOREVER ('") - Take 1 with backing vocals oberdub on November 24, 1967. 9. PENNY LANE ('") - Alternate mix, December 29-30, January 4-6, 9-10, 12 and 17. 10. BABY YOU'RE RICH MAN ('") - German HiFi stereo mix on May 11, 1967. 11. ALL YOU NEED IS LOVE ('") - Mono remix 11 of Take 58. This version doesn't fade and has an additional line of lyrics. 12. THE FOOL ON THE HILL ('") - Demo on September 6, 1967. 13. Magical Mellotron Music ('") - Incidental film music. 14. MAGICAL MYSTERY TOUR ('") - Alternate mix without sound effects and backing vocals on May 3, 1967. 15. I AM THE WALRUS ('") - Take 7, backing track, on September 5, 1967. 16. YOUR MOTHER SHOULD KNOW ('") - Take 27 on September 16, 1967. 17. Where's The Bus ('") - Incidental film music. 18. I AM THE WALRUS ('") - Take 9, backing track, on September 5, 1967. 19. BLUE JAY WAY ('") - Mono mix. This version has different string overdub and misses some of backing vocals on September 7, 1967. 20. YOUR MOTHER SHOULD KNOW ('") - Mono mix. This version has different "drum" sound on August 22, 1967. 21. I AM THE WALRUS ('") - Take 16 on September 5, 1967. 22. They're Having A Lovely Time ('") - Incidental film music. 23. FLYING ('") - Alternate mix, complete long version, on September 8, 1967. 1. STRAWBERRY FIELDS FOREVER (1'21") - Acoustic guitar demo 1 in November, 1966. 2. STRAWBERRY FIELDS FOREVER (1'34") - Acoustic guitar demo 2 in November, 1966. 3. STRAWBERRY FIELDS FOREVER (2'03") - Electric guitar demo with double-tracked John's vocal in November, 1966. 4. STRAWBERRY FIELDS FOREVER (10'44") - Various electric guitar demos in November, 1966. This track is missing in the song listing. 5. ALL YOU NEED IS LOVE (7'04") - Take 58, from the "Our World" broadcast featuring different vocal from John and a tambourine instead of a drum roll leading off the song. 6. HELLO GOODBYE (5'09") - Take 1, backing track on October 2, 1967. 7. PENNY LANE (3'01") - Capitol promotional stereo mix with the seven note trumpet ending. 8. STRAWBERRY FIELDS FOREVER (2'37") - Take 1, without backing vocals overdub on November 24, 1966. 9. STRAWBERRY FIELDS FOREVER (6'53") - Takes 2 and 3 on November 28, 1966. Take 2 is only backing track. Take 3 with false start. 10. STRAWBERRY FIELDS FOREVER (4'04") - Take 4, on November 28, 1966. 11. STRAWBERRY FIELDS FOREVER (3'18") - Take 5, with breakdown on November 29, 1966. 12. STRAWBERRY FIELDS FOREVER (3'10") - Take 6 on November 29, 1966. 13. STRAWBERRY FIELDS FOREVER (3'41") - Take 7 on November 29, 1966. 14. STRAWBERRY FIELDS FOREVER (3'31") - Take 25, remix of Takes 15 and 24, on December 15, 1966. 15. STRAWBERRY FIELDS FOREVER (1'18") - Take 26, remix of Takes 15 and 24, on December 15, 1966. 16. STRAWBERRY FIELDS FOREVER (3'37") - Edited piece on December 9, 1966. 17. STRAWBERRY FIELDS FOREVER (0'36") - Remixed sound effects and ending from the alternate Capitol stereo mix. 18. ALL YOU NEED IS LOVE (3'46") - Alternate stereo mix featuring John's lead vocal predominantly up front. 19. PENNY LANE (3'39") - Overdub session on January 9, 1967.